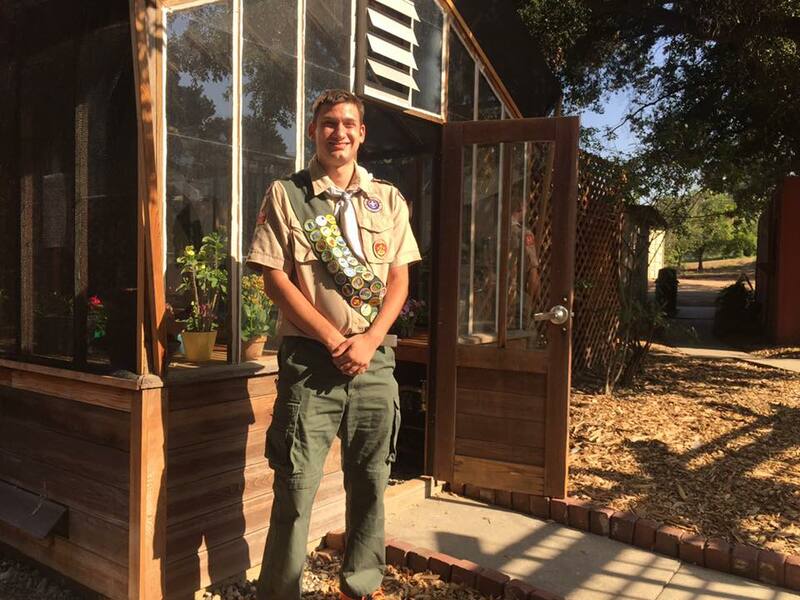 A ceremony at Orcutt Ranch on June 27 honored Ben McDonnell, who spent two years restoring the 1927 greenhouse at the park for his Eagle Scout project. Speakers and presenters included Dan Brin, president of the West Hills Neighborhood Council; Sylvia Patsouras, president of the City of Los Angeles Department of Recreation and Parks Board of Commissioners; Recreation and Parks Superintendent of Maintenance Operations Ramon Barajas; and City Council District 12 Field Deputy Jessie Strobel. Reporters from ABC 7 News and LA CityView 35 covered the event, which focused on Benjamin, his family and friends in Troop 54, based in Woodland Hills.